The Museum now has an exhibit featuring United States stamps that honor famous American women in US history from Abigail Adams to Ida B. Wells. A free booklet published by the United States Postal Service featuring many of these stamps is available for visitors. 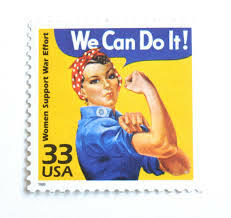 Children can also create their own collection of women on stamps to take home. Other activities for the children include stamp scavenger hunts, making stamp rainbows and designing stamps featuring famous women. The program begins at 8:00 and will run until 5:00. Admission is free but registration is requested. More information and a registration form is on the Museum website at symposium.